1. Please make sure your phone supports OTG functionality. 2. 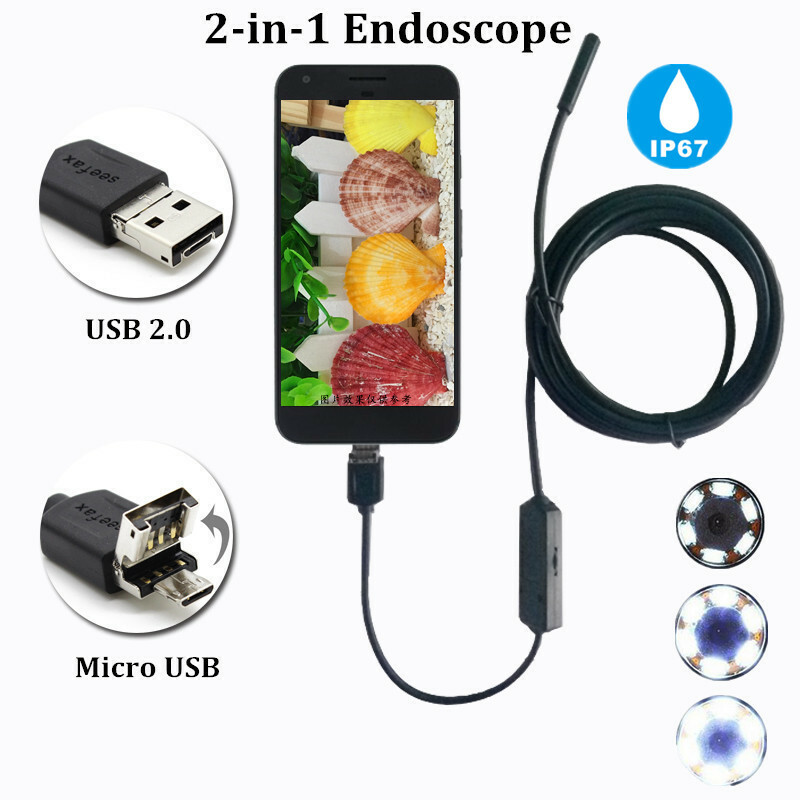 The endoscope for Android, can take photo, video and sound recording, and the photo and video file will directly stored in your android mobile phone, the whole process of record check, convenient observation and follow-up analysis. There is also a turning wheel used for adjust the sound brightness of six LED lights so that work in some area without enough lights. It is IP67 waterproof camera. It also can be used for computers.